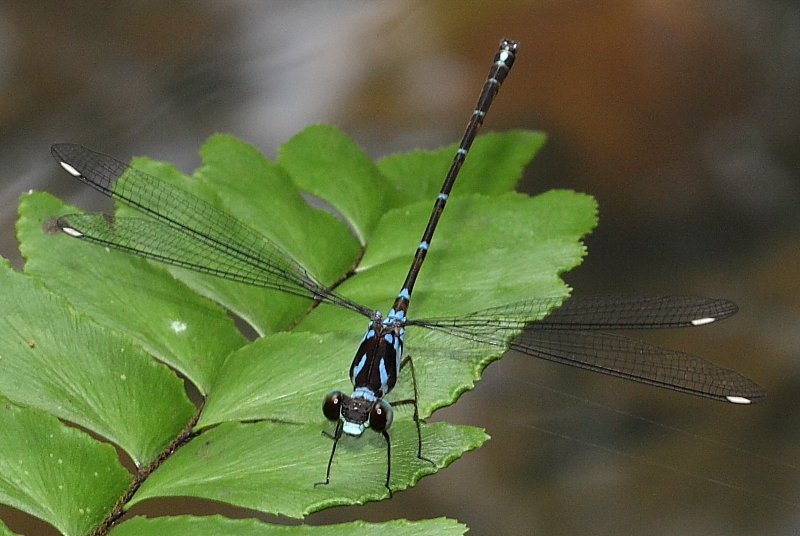 Blue-spotted flatwing is an inconspicuous, moderately robust damselfly which spread it’s wings flat when resting. 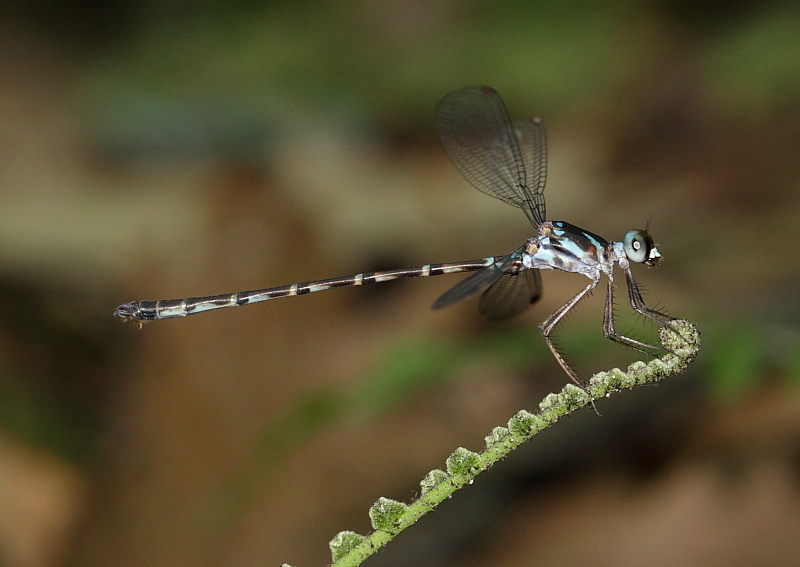 It is commonly found in lowland swampy forest and small streams in the Central Catchment Nature Reserve and Bukit Timah Nature Reserve. Male has variegated blue markings on it’s thorax. Female has similar markings but duller. 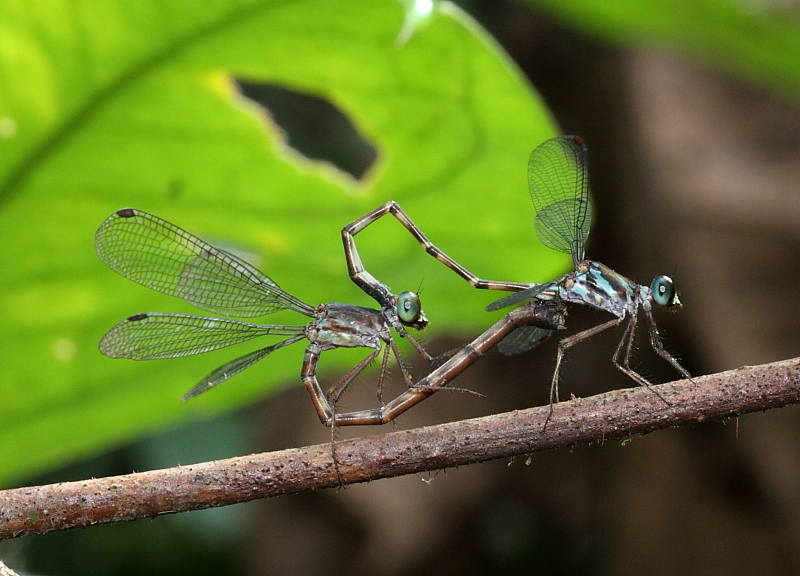 Immature adult has white pterostigmata.